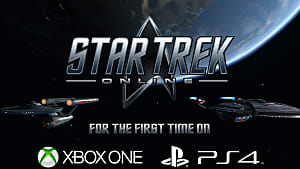 Star Trek Online is the first Star Trek-themed MMORPG, now available for the PS4 courtesy of Cryptic Studios. 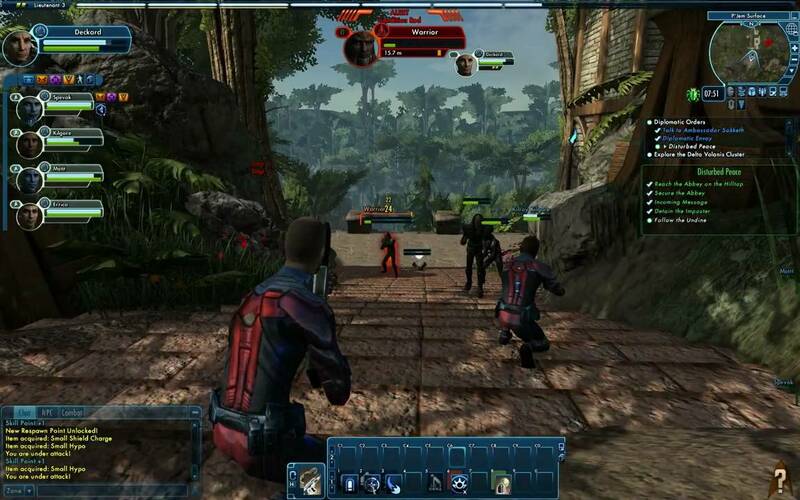 In many ways, this game feels like a long-overdue answer from Star Trek fans to 2003's Star Wars: Galaxies. 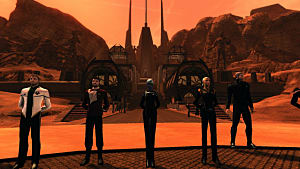 Galaxies was a similar MMORPG that was built upon a strong foundation of player interaction and role-playing. It included a massive universe to explore, filled with trade, battle, quests, and most importantly, other players who were necessary to engage in any of the three. If Star Trek Online had matched the quality of its predecessor in these categories, it may have been a great game. 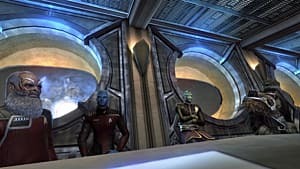 To its credit, Star Trek Online is playable – I'm ten hours into it – and its faithfulness to the established Star Trek canon will likely appeal to fans of the franchise. The dialogue and campaign missions are very reminiscent of the Star Trek TV shows and movies, as is the charming musical score. In most cases, this makes the game entertaining even for a non-Trekkie. Best of all, it is completely free right now for the PS4 through the Playstation Store, so fans of the series won't want to miss out. 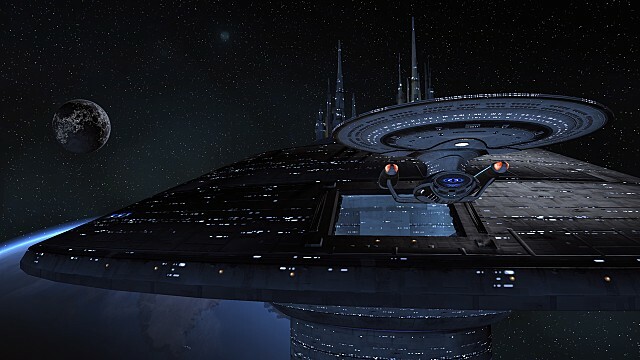 Most players, however, will find that Star Trek Online mimics the elements of Star Wars: Galaxies in many ways – deep exploration, complex trade, fun combat, interesting quests – yet disappointingly forgets the adjectives in its execution of all three. 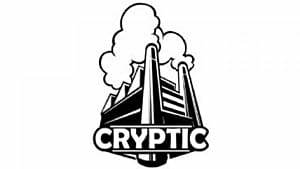 Exploration is limited to small areas surrounded by invisible walls; trade is confined to a single, automated exchange to players who are not part of a multiplayer team; combat is lackluster and often frustrating; and missions, while available in multitudes, sorely lack variety. Encounters with other players are rare, leaving one forced to substitute real-world teammates for bland, insignificant NPCs. 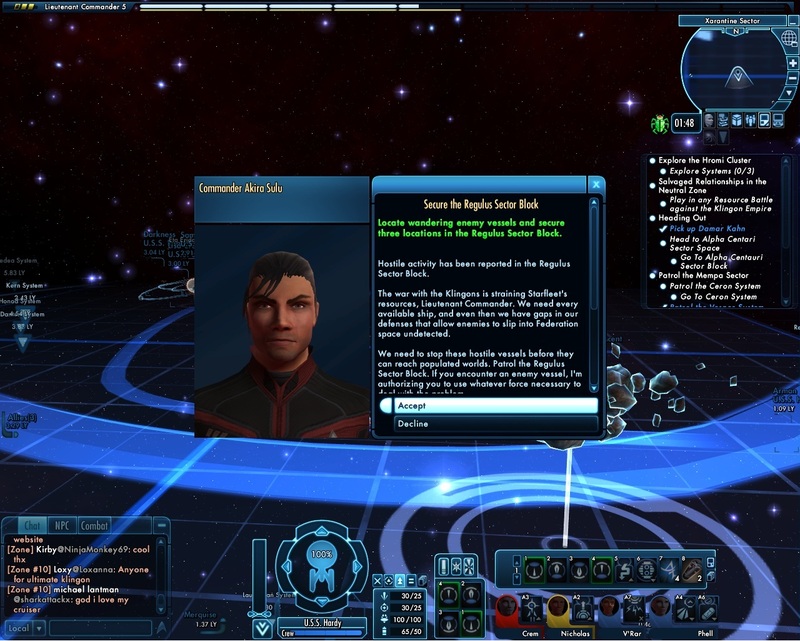 The great irony of Star Trek Online is the limitations it imposes on players who wish to explore the universe. Traveling through space itself is something of a chore, as handling a spacecraft is similar in difficulty to saddling an elephant and making it jump through hoops. Worse, planets discovered during your travels cannot be explored at all unless it is necessary to either receive or complete a mission. When the time comes to visit a planet for either reason, the player is met with small, somewhat barren environments. Most NPCs encountered during your journey are in the form of enemies – on the ground and in space – which almost always must be defeated for the purpose of a mission. 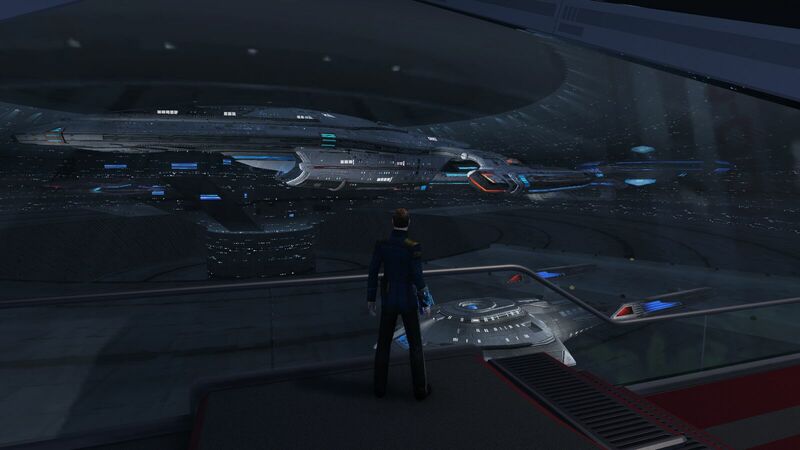 Considering the vast number of weapons and ship upgrades, these moments should be when Star Trek Online shines. Yet, regardless of the equipment used, combat itself is invariably dull and typically requires no more than button-mashing to claim victory. Unfortunately, the PS4 port seems to be slightly buggy during battle, which sometimes causes enemies to damage to your character through walls and outdoor scenery. Sadly, space battles are deeply hampered by the aforementioned handling problems present with most spacecraft. Evasion of enemy fire is virtually impossible, which leads to blow-for-blow conflicts with little strategy. As a consequence, the outcome of most battles is determined solely by ship quality, weapon power, and sheer numbers. 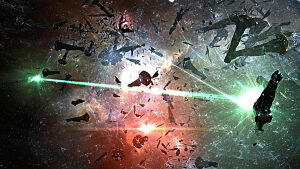 The issues present in Star Trek Online's combat system contribute in some aspects to the repetitive and irritating nature of its missions. 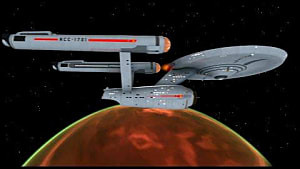 The vast majority of them consist of the following elements: The mission requires travel to the first objective, which is always a planet or star system. Upon arrival, for a variety of reasons, the player must either defeat a few enemy ships, interact with a few objects of interest, or both. Next, the player will invariably beam down to a nearby planet, where he or she must interact with more objects and fight more enemies. 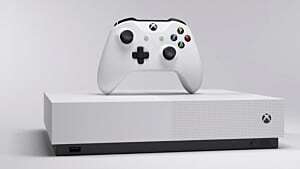 After completing a campaign mission, the player is given the option to begin another and do exactly the same thing all over again. All things considered, the most disappointing aspect of Star Trek Online is how much potential one can sense while playing it. There are moments throughout the game that made me want to like it, such as the fiery explosions of defeated spacecraft. Ultimately, however, it is plagued with a number of issues that constantly upstage its positive qualities. Still, for a free game, who's complaining? 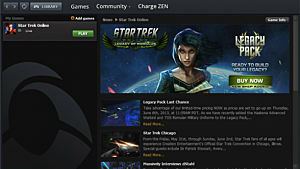 Star Trek Online is now free to play for the PS4, so it doesn't have to be worth your money - but is it worth your time? 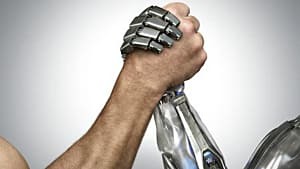 Why Don't More Sci-Fi Games Drop Humans and Replace Them with Machines? Dragon Slayer Award Nominee: Brandon "Branflakes"